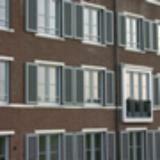 All our shutter products are guaranteed for a period of 3 years. Interior shutter with adjustable louvers can be designed in many different styles and come in a large range of louver sizes and colours. Shutters come in many different material and price options, the quality of our lowest price shutter (Seattle) is actually as good as the premium Vancouver Range, it is lower priced because of the material used and finishing required. Click on the Request a Brochure Opposite! Made from Western Red Cedar, Vancouver is available in painted, lacquered or oiled finishes. The "oiled" finish option provides the most natural appearance of any shutter available and is the natural choice for barns and warehouse conversions. The Timber is so durable and stable it could be left outside untreated due to its resin content. 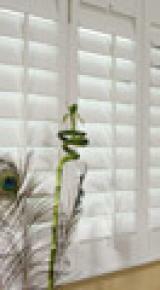 Crafted from solid basswood, Boston is a very competitively priced hardwood and popular material for shutters. All shutter stiles have mortice and tenon joints to prevent warping and ensure prolonged quality and durability. Initially available in limited shutter styles and three white shades with the introduction of limited stain colour options over time. Although a hardwood it is also very light allowing design for quite wide openings without having to resort to top tracking. This also enables us to confidently use Phoenix for large (tier on tier) installations where weight would definitely preclude the use of Seattle or similar weight hardwood shutter panels. The almost White timber stains to match most timbers accurately, while the grain reminiscent of Oak, appears rich and exuberant even when painted. This Range is popular for its budget price but premium looks. We have been Waiting for!!! Ideal for harsh environments, such as wet rooms or showers. anywhere really that needs a tough but good looking window treatment that will last. The new closed-cell composite shutter technology ensures superior strength, stiffness and wont warp, dent or chip. There are many colours to choose from, Visit our showroom or Call to make an appointment to view the extensive range of colours. 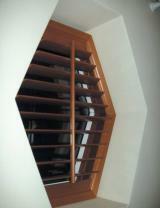 Colours and stains are to be used as a guideline only and do not reflect the true look of the finished product. CONSERVATORY SHUTTERS, APART FROM LOOKING GREAT, OFFER A DEGREE OF FLEXIBILITY SIMPLY NOT POSSIBLE WITH MOST OTHER SHADING OPTIONS. 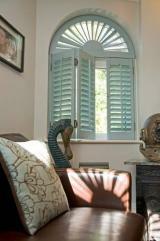 UNLIKE FABRIC BASED SHADING SYSTEMS, SHUTTERS WILL NOT ROT, SAG OR AGE PERCEPTIVELY AND ARE EASY TO CLEAN. Plantation Shutters can be used on the sides as well, for long sections they can be mounted on top tracking to slide away when not in use. 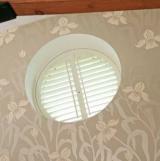 Shutters are also used for partitioning and as multi fold internal doors. 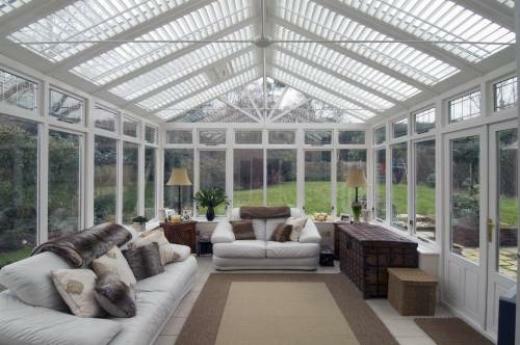 Quite often the opening to the conservatory may have shutters suspended on a top track. 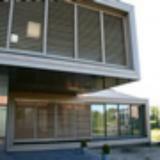 The solid base and louvre top shutters are used extensively for these applications. 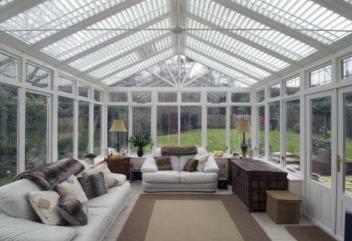 If your enquiry is for a conservatory application please make that clear when you make the call. THE DIY approach is possible as fitting instructions are availiable but most of you will have your shutters fitted by our Expert Fitting Team, PRO - FITT UK. 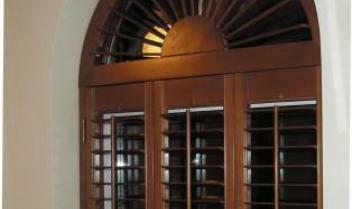 There are many ways to fit shutters and there is no one way that is better than another. You may fit them inside the reveal, the most common way in the UK, or on the edge of the reveal or outside the reveal, all are permissible methods. The main difference between frames and battens used to be the hiding of the magnetic catches that hold your shutters straight, however now most companies fit with hidden magnets anyway, even in the header strip battens, its just a different look. We do offer an inside mount L frame now that can be planed to take out some curve in the walls but it may still better to use battens if it severe. Battens can hide a certain amount of out of squareness but they will never straighten out your walls entirely. Talk through the options with us. Lumberjack 50mm wood slat blinds currently available in 8 colours including Silky White and Oyster Bisque, which match our popular shutter colours. These blinds are cut down from stock and size ranges from 350mm width to 2400mm width, drop sizes are to a maximum of 3000mm (on widths up to 1350mm). Controls are tilt left, raise/lower right. Mitred returns are free. You may order as Recess, in which case 12mm will be taken off the width and the valance will be 10mm longer than the blind headrail. Blind Size will come as ordered, with the valance 10mm longer. You can however order as uncut valance, in which case you will get a valance 40mm longer than the original blind, mitre cut at one end, plus 2 mitred returns. These are very useful for bay windows where you may want to cut mitres on site for that perfect finish. The Big News is that as we can offer you much better value for money than our competitors! We have modelled our pricing on smaller measurement increments, so we can pass the cost savings on to you. Phoenix wood venetian blinds are now available in 63mm, 50mm wide slats, (35mm in limited colours from April 1st), they closely match the appearance of our phoenix wooden shutter range, all of which can be customised to your exact specification. 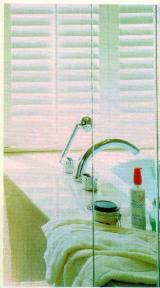 All phoenix shutter blinds are available in widths 305mm-2438mm and drops 254mm-2438mm, with a variety of control positions. Our exclusive finishing process makes our colours and textures the richest you'll find. Choose from a wide array of the latest and most popular paints and stains, matching our Phoenix Wood Shutters. Or why not opt for our custom colour matching service, and choose any Dulux or Farrow & Ball shade to compliment virtually any shade of room. 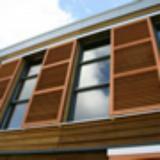 High Quality Fixed Louver and Solid Exterior Shutters, available in both Western Red Cedar and Siberian Larch. Our range of exterior shutters can be coated from a choice of oil based stains or solid colour paint systems, including a custom colour option to match RAL colour charts or your chosen paint scheme. Both Western Red Cedar and Siberian Larch are ideal for exterior shutters due to their density, dimensional stability and resistance to moisture and decay, providing long term performance and low maintenance on all exterior building and joinery applications. Reinforced engineered uprights and renewed stronger mortise and tenon joints ensure a robust and durable shutter panel system and are manufactured with a full three year warranty on panel structure and colour stability. Our exterior shutter range is completely custom made to complement your architectural and design requirements, whether this be traditional or contemporary, and we can manufacture panels to suit special shapes to match your project. 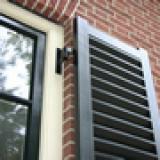 With various options on shutter louvres including closed, semi-open or open you can add aspects of view, light, ventilation and privacy to your designs, and all exterior shutters are fully finished with powder coated stainless steel hardware ready for immediate installation. 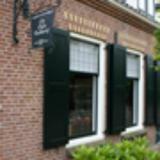 To receive more information on our full range of exterior shutters or to discuss your project in more detail please contact us on 01252 662793.